A full SPS is a production line that functions independently. Production starts from steel wire coils and EPS blocks available on most regional markets. One SISMO Production Station, hardware consisting of three major components the 1D, 2D and 3D machines. License for the use of the registered trade name and trademark. License for the sisCAD® software. Fingerprints for installation and usage of the software. Corrective, adjusting and innovative maintenance to the sisCAD® software. Continuous support, technical assistance and training. The 3D Machine and all ancillary equipment are assembled and mounted in a converted seaworthy 40’ HC container for quick and easy transport and installation. 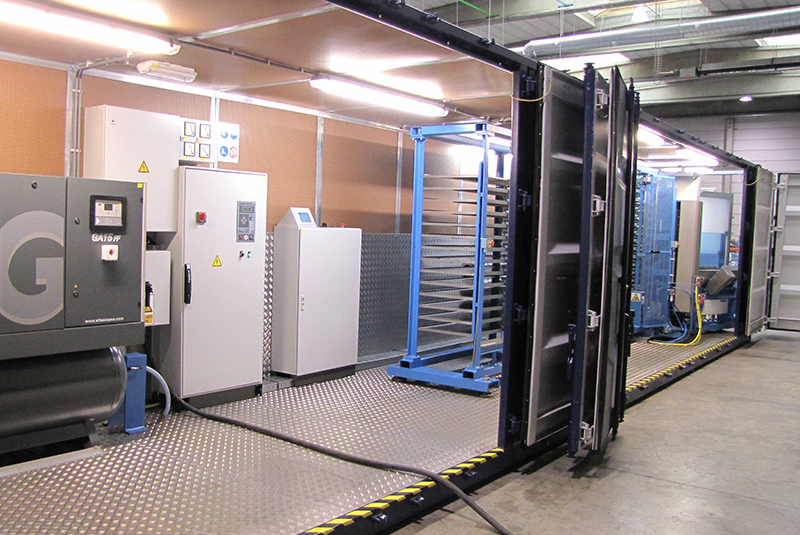 The stand-alone unit contains all ancillary equipment and smoke extraction with an automatic filter cleaning process. The EPS processing equipment comes in a separate container. Discover SISCAD. Our all in one design module.